Next session about the biggest weaknesses of mine of all time…chicken!!! I am a true patron of yummy food, and given options, I would always go for some dish with chicken…J…so an experiment with chicken, adding a pinch of cornflour…..Cornflour makes the chicken soft and fluffy after frying. Marinate chicken pieces with salt and pepper for 1 hour. Make a thick cornflour mixture with water and deep fry the chicken pieces after dipping them in the cornflour mixture. Add oil in a pan. 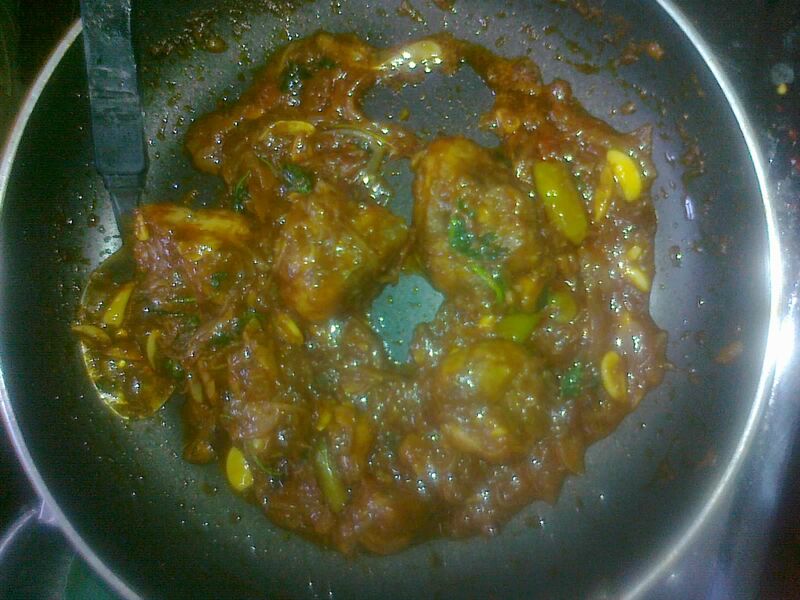 Saute onion, ginger-garlic paste, tomato and green chillies till golden brown. Add turmeric powder, chillie powder, pepper powder, and garam masala powder into the mixture and fry till dark brown. Add the chicken pieces into the pan, and after adding a bowl of water, allow it to boil. As the gravy gets thick, add the milk into it and again cook for 2-3 minutes. Takes less time for preparation compared to other chicken dishes. Hogging on sea food is a pleasure for me…And when it comes to prawns, I go speechless…The experience is totally out of the world!!! So, here we go, the simplest, and tastiest prawn dish…….prawn fry with onions!!! Take a bowl and add the prawns, salt, small onion, green chillie, chillie powder, turmeric power and add water into the mixture and boil for 10 minutes. While the water begins to drain completely, add 1 teaspoon of oil and fry the mixture for 2-3 minutes. Prawn fry mainly goes with kerala rice. It is also a good combination with friedrice. Takes hardly 15 minutes for preparation. The small onions can be put as such into the mixture. We need not waste time by cutting it into small pieces. They will eventually get along once cooked. Guess what…………you unexpectedly got a one day off from office. The absence of preplanning, and your husby has got this important meeting at office, you are left all alone at home……..now wait a sec…You can work for hours together to make this particular stuff, and offer them when your darling husby gets home in the evening…yeah………..its snacking time….and we are gonna indulge in making MEAT CUTLET to beat the day!!!! Carrot, beetroot-1 each, both cut into small pieces. Add salt to the meat and boil in a pressure cooker. Grind it in a mixie to form the so called ‘minced meat’. Boil the potatoes and smash them up. Boil the carrot and beetroot and keep aside. Fry oil in a pan and saut onion , green chillie and ginger-garlic paste. Add tomato cut into small pieces, along with chillie powder and pepper and stir until golden brown. Add the smashed potatoes , boiled carrot&beetroot, and green peas into the pan and mix well. Add the minced meat ,garam masala and salt into the pan and mix well. Cover the mixture for 2-3 minutes and let it cook. Make the above mixture into desired shapes, and roll them in egg white and later in bread crumbs, and deep fry. Since it is a snack, a few drops of tomato ketchup is sufficient. It also goes well with something sour, like a salad( with lemon juice or vinegar added to it). The process is really hectic, and seizes our precious time. The number of ingredients is also large in number and the procedure is also a bit tedious. 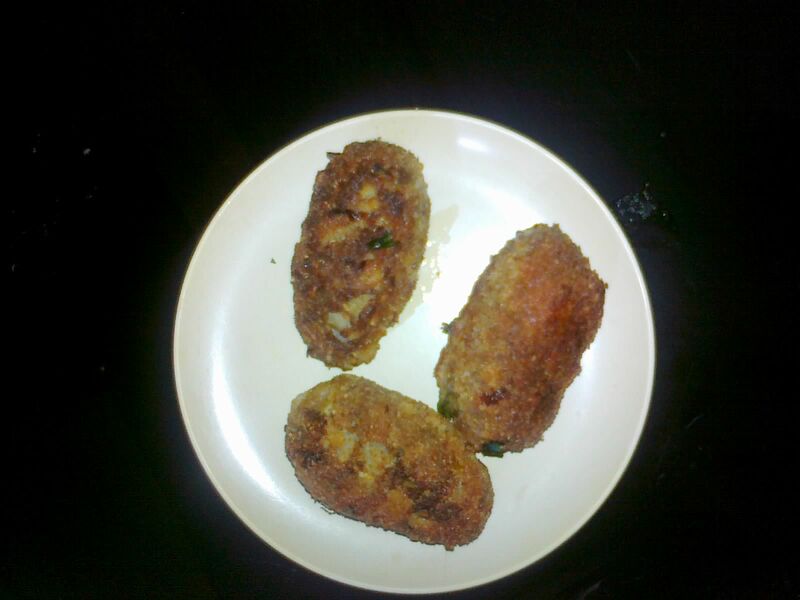 So I always prefer cutlets from the bakeries, rather than dedicating my whole day for its preparation. Pulav has been a favourite of Indians since ages. It can be considered as a friedrice in Indian style, prepared by adding a pinge of all Indian flavours. Accordingly, the classification goes wide for pulav, ranging from masala pulav, to simple plain pulav. 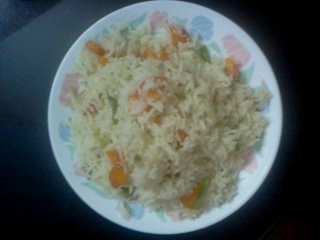 So always starting from the bottom, Let us go for a simple plain pulav this time. Boil Basmati rice and keep aside after draining water. You can add a few drops of Biryani essence into the water while boiling the rice, but this step is optional. Fry the carrots and beans till half cooked and keep aside. Grind ginger, garlic, and small onion into a thick paste. Put oil in a pan, and add the paste obtained in Step no.3 and fry till light brown. Add the carrot and beans(already fried) into it and mix well. Add the cooked rice into the mixture, and garnish with coriander leaves. Cover the pan and allow to cook for 2 minutes. This is a pulav in kerala style and since the pulav is simple we opt for heavy curries like chicken gravy, beef roast, or gobi and paneer dishes for the vegetarians. A simple salad and pickle will not go well with this pulav since they do not have much flavor in it. Simple to make and can be opted even to serve to guests if accompanied by a good gravy. Add sufficient ginger, garlic and small onion and this paste is rather the most important part since it alone adds the whole flavor to the pulav. My first post…..A bit tensed, but also excited. Let this be a new beginning for me!!! So, to keep things simple let us start with something easy…something quite common…something which both the carnivores as well as the veggies can hog on…………yes…….A simple paneer masala!!! Chillie powder, turmeric powder, garam masala powder,and pepper powder. Onion(1 and a half), tomato(1), ginger & garlic(as required). Grind onion, ginger, garlic, and tomato together and keep aside. 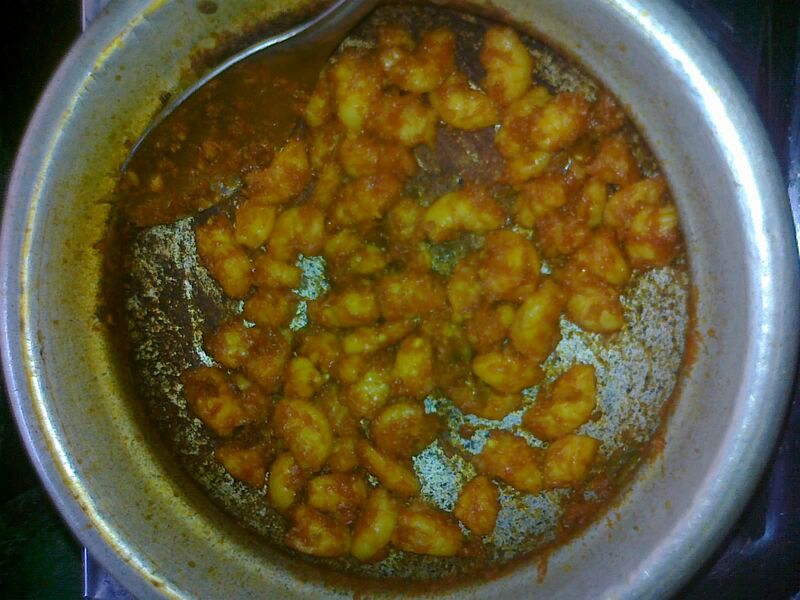 Fry paneer cubes in oil until golden brown. Put some oil in a pan, and add the grinded paste from step 1 and fry till it reaches brown, with constant stirring. Add into the mixture chillie powder, pepper powder, turmeric powder and garam masala powder and mix well. 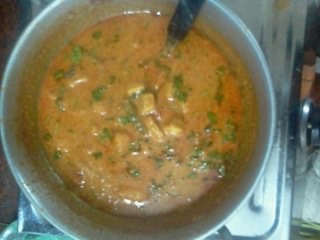 Add fried paneer pieces into the mixture and mix well. Add 1-2 cups of water, salt and allow it to boil. 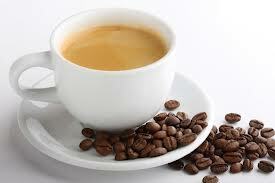 When it starts getting concentrated, add 1 cup of milk into it and boil. Best buddies for Paneer Masala.. So you have just made a piping hot paneer masala…..It goes well with parathas, roti, naan, friedrice, pulav etc. Paneer is a tasty product and it can be considered as a ‘chickensubstitute’ for the veggies. Preparation time is less than 30 minutes if executed with planning. The quality of the paneer that we buy from market cannot be depended fully and the curry may turn sour if the paneer is not good enough. So always be careful in buying paneer made from branded companies when you go to a store. Wanna reach me thru emails? ?